Hi Everyone! Just to let you know Sale-A-Bration ends today (March 31). You still have time to order, just click here: http://www.stampinup.net/esuite/home/brigitsscraps/ and it will bring you to my Stampin Up webpage. 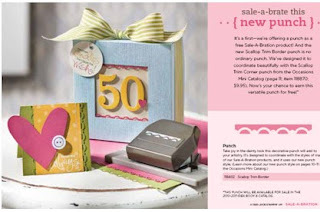 Don't miss out on the spend $50.00 and receive a free product of your choice from the sale-a-bration catalog. 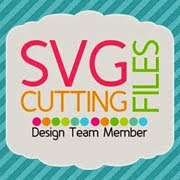 Hi everyone, just a reminder that Stampin Up's Sale-A-Bration ends March 31st, so hurry and get your orders in. For every $50.00 you spend you can choose from over 80 free stamp sets and accessories. I love the Scallop Trim Border Punch, it is so pretty and pair that with the Scallop Trim Corner Punch, you have yourself a beautiful frame. 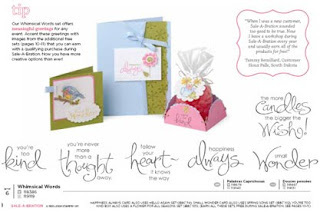 I couldn't pass up the Whimsical Words stamp set, it has the perfect sentiments for the special cards you make. I also couldn't resist the Welcome Neighbor Designer Series Paper Pad, it has 72 double sided 6" x 6" sheets of the most adorable houses, trees and clouds, love it. Hi everyone, I created another card using Paisley for the Cricut Cartridge Challenge. This cartridge is really great, very versatile, I definitely would recommend it. The paper I used is from the DCWV Flower Showers stack, I love this paper, very pretty and great for making cards or layouts. I picked up both the paper and cardstock. The butterfly and shadow, circle and flower are all cuts from Paisley, the stamp, sorry not sure. Hi everyone, I'm very excited today!! 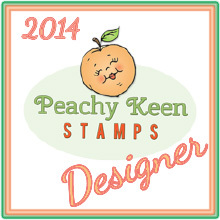 I am now a Stampin Up Demonstrator. I'm officially a Inkalicious Diva!! Just to remind you all that the Sale-A-Bration ends at the end of this month, so you have a couple more days to take advantage of the over 80 stamp sets and accessories that you can choose from as a free gift, (one with every $50 you spend). Here is another card for the Cricut Cartridge Challenge using Paisley. I thought the strawberry would look cute with some Peachy Keen Faces. The strawberries and saying is from Paisley, I used my SU slot punch for the tag and ran it through my crimper and inked. The faces are from Peachy Keen Funshine Faces Assortment Pack, they are just too cute! I bought my first background stamp, it's by inkadinkado called "Letter" and I love it, here is a link to a photo of the stamp, http://inkadinkado.eksuccessbrands.com/Product/Letter.aspx. I made these two cards using it and love how the stamp looks. I used Tim Holtz walnut distress ink on glossy white paper to stamp the image and then embossed it, then I used his Adirondack alcohol inks over the whole page to give it the antique look. I used a 1 1/2" circle punch over the SU modern label punch to form the label and the journey tag is used with the MM Tag Curler. Here I used the stamp with white colorbox ink and white embossing powder, it really looks so much nicer in person, love the white on white. The flower was made again using the SU word window punch. I used the stamp with black ink and embossed and then punched out 4 punches and glued them to form the flower, punched a 3/4 circle and embossed with the CB Swiss Dot Folder for the center and then snipped a V on the tips of the flower petals. The swirl stem is from Home Decor, it was left over from another project. The SU word window and SU modern label punches were used for the label. I created the flower from the punch also, embossed a piece of card stock with the cuttlebug swiss dots folder and punched out 4 pieces with the word window punch glued together to form the flower and cut a V on the tips, used 3/4 circle punch for the center and shaped it a little. At the moment I don't have any flower punches so I use my cricut for flowers, this is a great quick flower to make. I also used my new SU Modern Label Punch under the word window punch with friends on it. Here is my double criss cross pocket card for Cynthia's Cartridge Challenge, if anyone is interested it runs weekly from Sunday to Saturday. 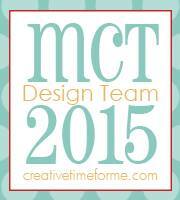 You can get more info here, http://www.cricut.com/messageboard/tt.aspx?forumid=159 just look for the Cartridge Exploration Challenge for the week. This week the cartridge is PDDU, so get hoppin!! The little chick is cut out and embossed with UTEE. I wanted to make this crimped envelope pocket card created by Theresa Momber, here is the link with her directions, http://www.splitcoaststampers.com/resources/tutorials/crimpedenvelope/. 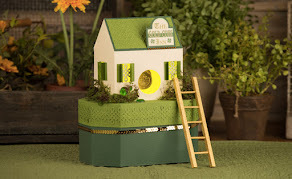 I put this together very quickly just to see how it would turn out and I think it is an adorable card to make. You can get very creative with it, next time I think I'll use a cricut cut. It's a very quick and easy card to put together. It would be excellent for a gift card holder too.